Chef Andy Su has cooked Szechuan food in town, for years, at various Chinese restaurants. 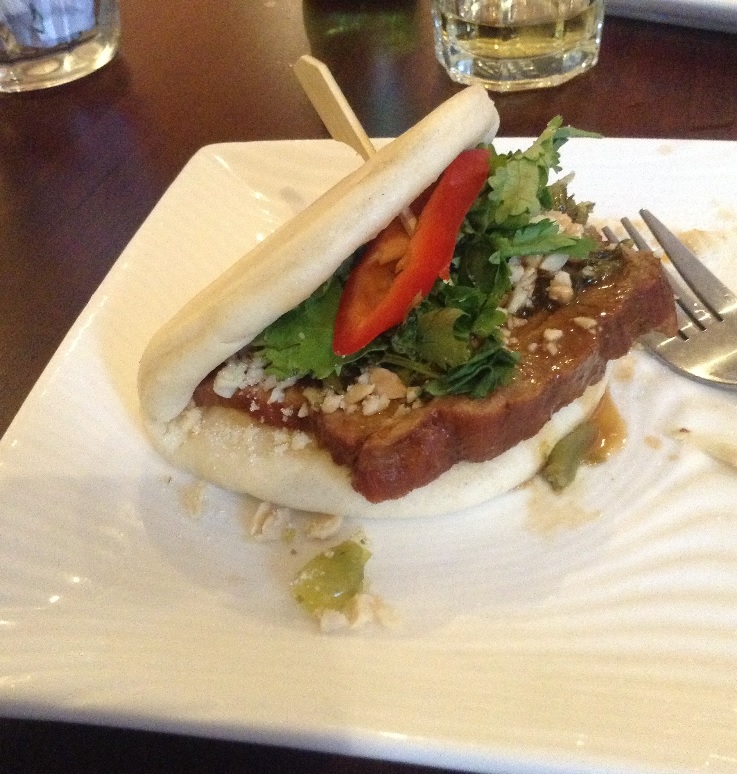 He recently opened Gia Ba on Monkland street. The restaurant is tiny and casual, but to the contrary of most casual Chinese restaurants, its looks are closer to the ones of a conventional western-style bistrot than to your old school looking Chinese eateries. I did not take any photo of the room as it was full of people, but it’s essentially a casual bistrot interior, with colorful chairs (red, beige) and clothless dark wooden tables. The items I picked were not expensive, but you also have pricier dishes such as chilli soft shell crabs ($28), twice cooked oysters ($28), Szechuan style crawfish ($38). For drinking, you have couple of sakes, beers and wines. Pros: The bistrot feel is, in the context of casual Chinese dining in Montreal, a bit unique, with a service that’s way better than at most similar eateries. Cons: I wish the flavors (of what I was sampling on this evening) were more complex / had more depth as generally expressed by Szechuan cuisine. 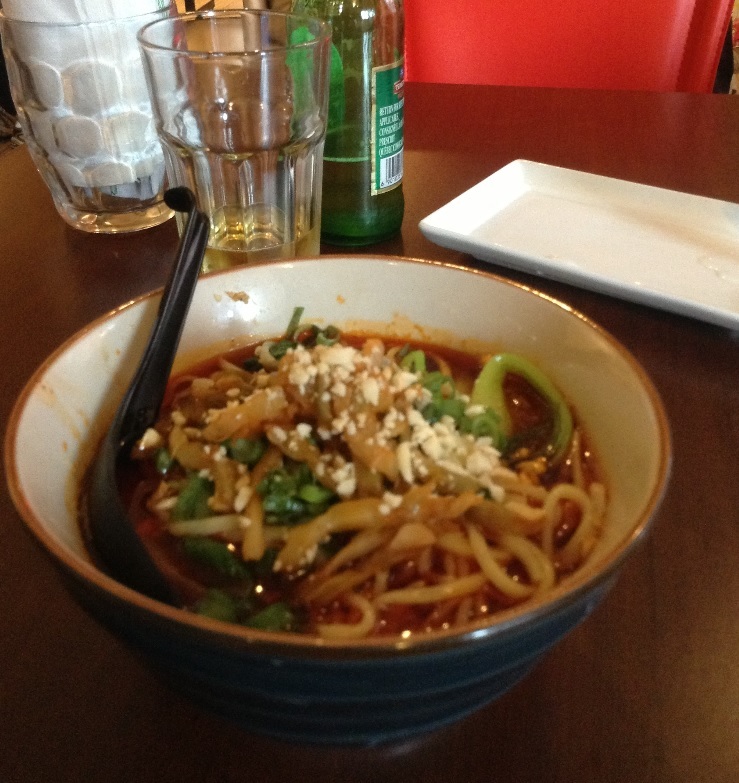 Overall personal verdict: 6/10 for the food (by Szechuan restaurant cooking standard in Montreal) . 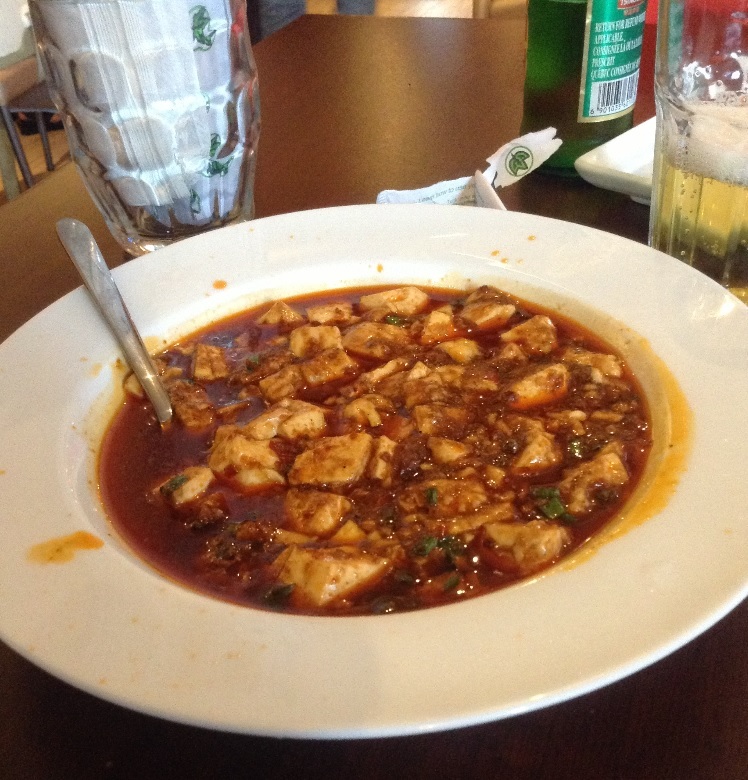 I went there only once, so I have no clue whether it’s different or similar on other days, but this specific meal left me with the impression that they are hesitating between adapting the dishes for non-Sichuanese tastes and keeping it as close as authentically Sichuanese as you can get to in Montreal. Do not get me wrong: the Sichuanese flavors are present (for eg, the heat /spiciness is there / the chilly oil not at its finest depth of flavor complexity but still good enough), but they seemed — to me — as not fully expressed. I have enjoyed Chef Andy Su’s food before and I know what he is capable of, but this evening’s meal was not conclusive. What I think days later: Obviously, this meal did not ‘float my boat’, but do not get your knickers in a twist about it…inconsistency is the normal condition of all restaurants. Who knows, it is perhaps with the pricier dishes that I would better understand the buzz around Gia Ba. But for now, this was nowhere near my idea of a favourite fix of Chinese food in Montreal.